Combinations and chemistry take time. Why haven't we been patient? Another Test match week for the Wallabies, and it’s another round of selection lotto for Wallabies fans. As another up-and-down spring tour draws the 2018 international season to a close this weekend in London, rugby fans await to see just what kind of selection rabbit Michael Cheika will draw from his hat this time. And such is the extreme variation in everyone’s unsolicited team lists during this tour, I’m obviously not alone in admitting I don’t have the foggiest idea of who Cheika will pick to play against England. 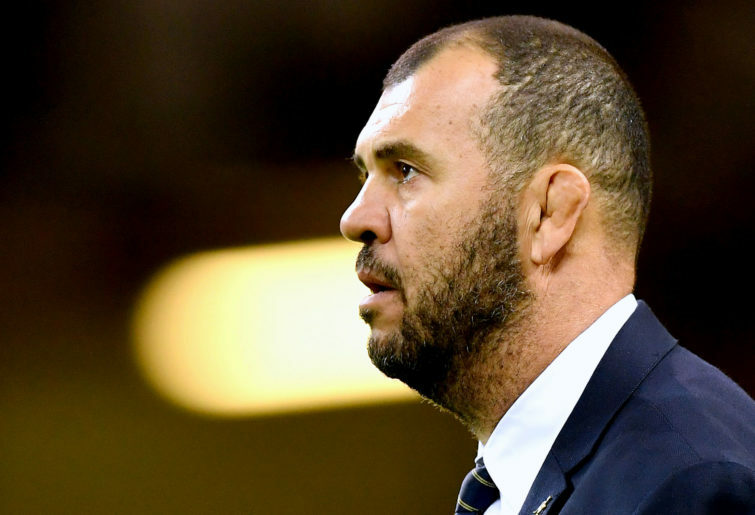 Not that long ago you could predict a Wallabies selection with a decent degree of accuracy, as Cheika went out of his way to stay loyal to the players he’s so long entrusted to deliver his game plan. But 2018 has been different. Those same players have continued to be named in squads on the most part, but the week-to-week combinations have been all over the shop. With the exceptions of Will Genia, Michael Hooper, and Adam Coleman, just about every other Wallaby selected has worn at least two different jerseys in 2018, either swapping positions or switching between starting and coming off the bench. 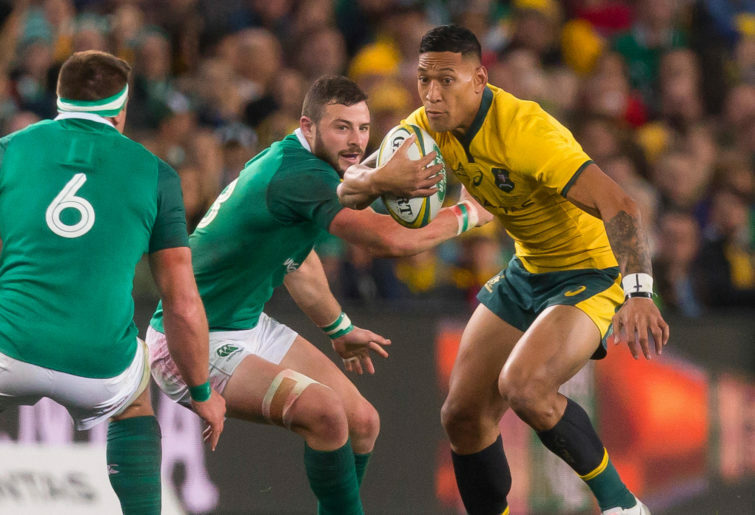 The backline shuffling has been a little more involved than that, and I reckon it has to have been a factor in the Wallabies attack – or seeming lack thereof – in 2018. The comparison has been made before, but it bears repeating. In 2017 the Wallabies scored 59 tries and 436 points in 14 matches. In 2018 the numbers have plummeted to 28 tries and 231 points in the 12 matches completed to date. Whereas last season the Wallabies scored 31.1 points and 4.2 tries per game, this year it’s 19.3 points and 2.3 tries per match. For what it’s worth, defensively the Wallabies conceded 28.3 points per game last year; in 2018 it’s down to 23.7 points per game. So that’s something. Much of the blame for the diminished attack has been directed at attack coach Stephen Larkham, and by flow-on, national skills coach Mick Byrne, and that criticism is reasonably well aimed. If the attack and the skills have deteriorated year-on-year, it’s reasonable that the specialist coaches responsible for those aspects of the Wallabies preparation are held to account. But how much of it could be put down to the ever-present revolving door that has been the only constant in more than a few of the backline positions? We know that combinations and relationships are becoming more and more important in professional sport, so it stands to reason that the constant chopping and changing of those backline combinations has to have an effect. To borrow a line from the brilliant Veep, the Wallabies in 2018 have employed “continuity with change” in selecting their backs throughout the season. Just how much chopping and changing, I hear you ask? Well, a bit. Since using an unchanged backline for the first two Tests against Ireland – and Genia’s injury the only changed for the third Test – Cheika has made at least one change every match bar one since. Through the Rugby Championship, in fairness, the changes were generally minimal. There was one change for the Auckland Bledisloe from Sydney and then two for South Africa in Brisbane from Auckland. But this was where Cheika started experimenting with Kurtley Beale at No.10 and Matt Toomua at No.12. From Brisbane to the Argentina Test on the Gold Coast, Israel Folau returned from injury, but on the right wing with a roving attack role that also saw him pop up in midfield occasionally. The backline went unchanged for South Africa in Port Elizabeth, but two changes for Argentina in Salta saw the return of Bernard Foley at No.10 with Beale outside him at No.12. Once the spring tour was on, the changes increased – two further changes for New Zealand in Yokohama, two more for Wales in Cardiff and finally five changes to the backs for Italy last week in Padua. All up, in the nine Tests in which the Wallabies have made a change to the starting backline, the 10-12-13 midfield unit been changed in some way in five of them. On the bench, Cheika hasn’t named the same backline replacements in consecutive Tests since the first two Ireland Tests, in which he played a 6-2 bench split anyway. Just when Genia gets used to Foley again, Beale comes into flyhalf. Then, just when Toomua gets used to playing outside Beale, he gets benched and we’re back to Foley-Beale in midfield. It was Toomua-Foley last week, and who honestly thinks they can confidently predict the combination for England this week? I don’t and I won’t try. We’ve all spoken about the issue with moving parts on the field, both defensively and in attack, but plotting the changes like this highlights to me that the moving parts on the selection whiteboard have to be having the same sort of impact. Viewed that way, it’s actually quite remarkable that the Wallabies are conceding fewer points per game this year than they did in 2017. For the removal of all doubt, this exercise of highlighting the backline changes doesn’t in any way pretend that this is the only issue facing the Wallabies this season. And yes, it’s still true that you have to win the breakdown and go forward before you can go wide. But worryingly, and facing the last Test of 2018, it’s impossible to know what the best, genuinely first choice Wallabies backline is. Or what it will look like this weekend.